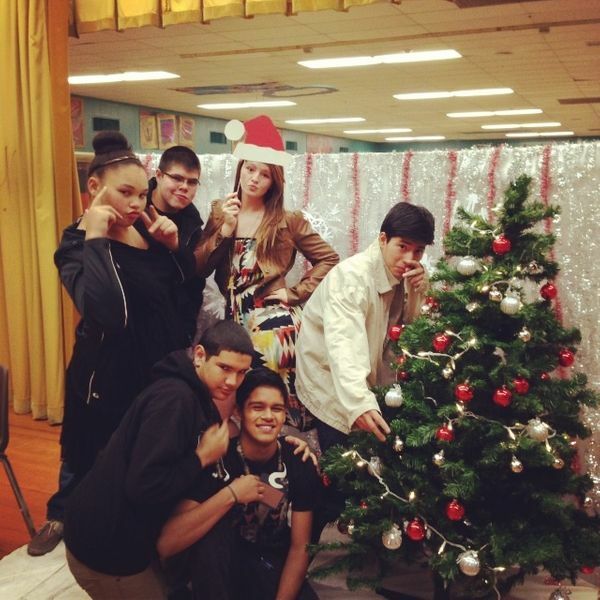 The sophomore class was raising money this week by hosting a holiday photo shoot during lunch. Pictures were $3 and students were lining up! Here are the sophomore class officers (and those involved in helping with the photos) posing for my picture.